I was in a gambling mood this morning. Fortunately I found myself on the outskirts of Reno. 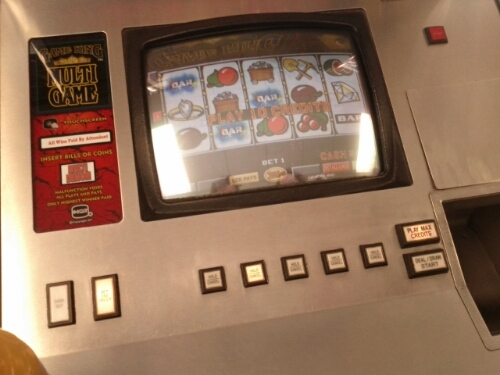 A stop at a gas station provided the slot machine I craved. I dropped in $5 and left with $10. It was 8 a.m. so I spent most of the winnings on orange juice. Clearly I am cut out for the gambling lifestyle. 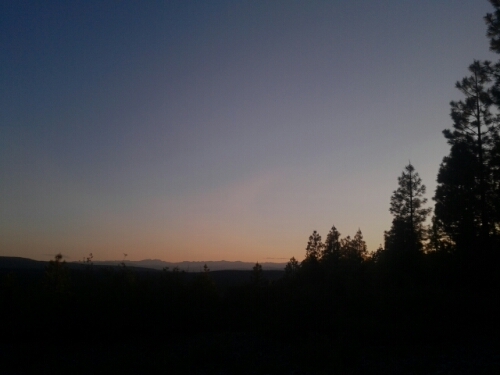 Back into California, and onward to Lassen National Park. 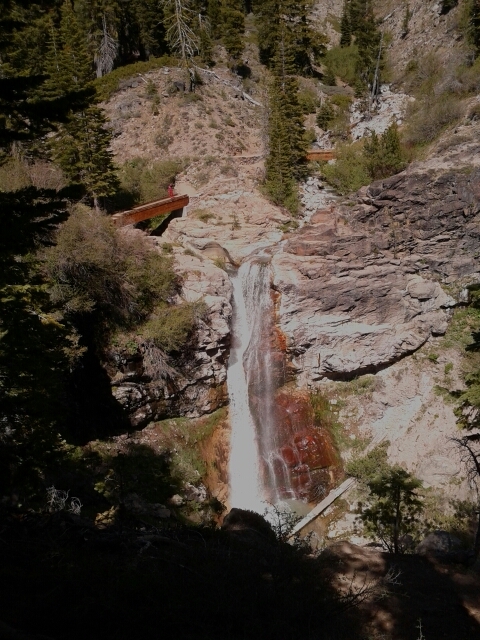 The afternoon started with a wonderful walk out to some falls. A mini Tess is visible on the bridge. The park is all about 7 or 8 dormant volcanoes. Even that cold water stream smelled of sulfur. A short distance up the road things heated up a bit. 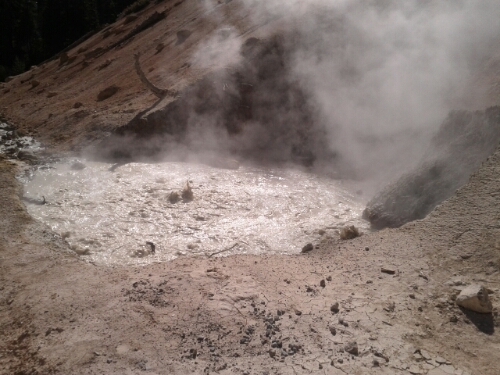 Some of the vents just spew steam, others produce a boiling cauldron of mud. The views were breathtaking throughout the park. 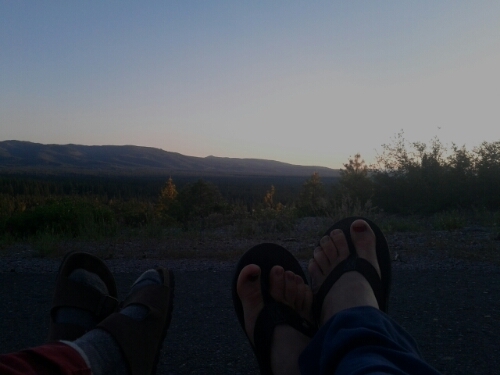 Dining on the side of the road as the sun began to drop away was okay too. 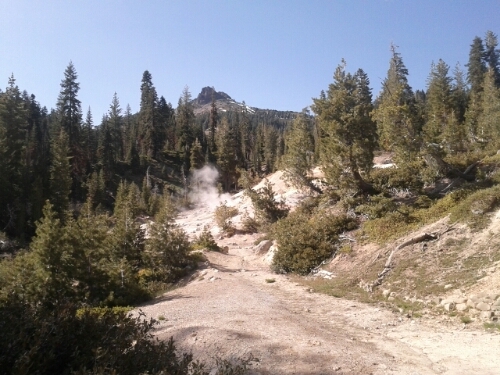 This entry was posted in Adventures and tagged California, gambling, Lassen National Park, Nevada, Reno, slots, Tess, volcano. Bookmark the permalink.